As a rescuer, I've responded to avalanches that involved almost a dozen fatalities. BeaconReviews.com (now in its 15th year) was created to share what I've learned about avalanche transceivers and avalanche rescue. My goal is to provide current, independent, and scientifically objective information. You can jump to the transceiver summary if you're in a hurry, but don't forget to review the avalanche rescue information and to practice frequently. PS: Learn more about BeaconReviews.com and its authors. PSS: Avalanche instructors, check out these educational resources. February 7, 2019—Pieps preannounced the Micro BT Button which will be identical to the Pieps Micro except it will use a button to change between Search and Send. January 17, 2019—ARVA preannounced the ARVA Evo5. November 1, 2018—Pieps (and Black Diamond) has released the Powder BT and Recon BT, and the Pro BT and Guide BT, avalanche transceivers. October 4, 2018—Mammut announced a software update for the Barryvox and Barryvox S transceivers. September 30, 2018—ARVA released the Neo+ avalanche transceiver. 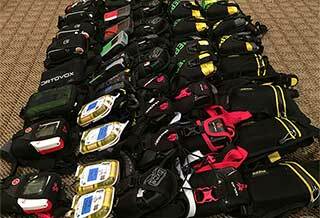 The Ortovox 3+ avalanche transceiver has been recalled. Read about the recall. 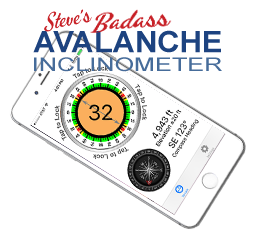 The avalanche rescue section is frequently updated. Being a skilled rescuer is far more important that the brand of avalanche transceiver you own.